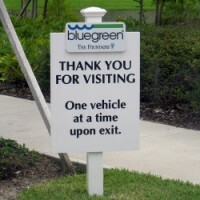 Sign A Rama Orlando specializes in a large selection of outdoor signage products. We offer custom signs, ADA, real estate signs, site signs, channel letter signs, monument signs, directional signs, sidewalk signs, Vinyl Window Signage, routed signs, sandblasted signs, illuminated signs, traffic signs and much more. Outdoor signage draws attention, and informs about your business or event. Our professional sign experts and designers will help you get the right sign, with the right design to get you noticed. Look inside for some outdoor sign ideas! Sign A Rama Orlando specializes in a large selection of indoor signs and interior signage products. We offer safety signs, menu boards, ADA signage, braille signs, engraved signs, directory signs, directional signs and more. Our resident sign experts are on call to help make your next indoor sign purchase a breeze. Look inside for some indoor sign ideas! SIGN A RAMA Orlando can help you design the perfect hotel and resort signage, and ensure a consistent look across all your signage and marketing materials. From business cards, to interior directory signage we can produce the perfect sign for your hotel or resort. Take a look inside for some ideas and to request a quote. 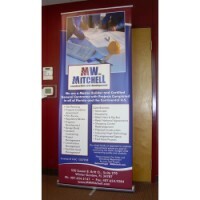 Sign A Rama Orlando can create a custom banner for any occasion. Anything from a vinyl banner to promote your upcoming church event to a pole banner and banner stand to advertise your upcoming sale... we have you covered! Banners can really deliver your message. We have the newest technology to produce near-photo quality banners, and our professional design staff really knows how to deliver the message and get you noticed. Click on the banners link above for some ideas! Perhaps you looking for a custom vinyl decal, vinyl lettering for your window, a full vehicle wrap to advertise your business, channel letters, dimensional letters, wood letters, acrylic letters and more. You have come to the right place. SIGN A RAMA Orlando can provide you with dimensional letters, vinyl lettering and decals, channel letter signs, vehicle wraps and graphics and much more. Ideas inside! 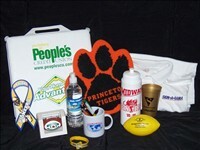 Let SIGN A RAMA Orlando come up with that perfect design for your point of purchase signs or trade show displays. Having an eye catching design is key if you want to stand our from the crowd. Let us help you let your customer know who you are and what you sell. Our professional designers can create the perfect fabric display, pop-up graphics, LCD displays, digital displays, table top displays and more to help promote your message and get you noticed! Please look inside for some ideas! 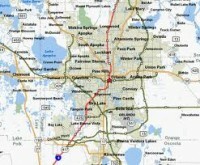 SIGN A RAMA Orlando services a large area of southwestern Orlando. Take a look inside to see some of the areas we cover along with a selection of our products. Our resident sign experts are ready to help you with your next custom sign purchase. If you need help or need more information about any of our products don't hesitate to call, or contact us using our online form, a member of our team will respond to your information request within 4 hours. Vehicle wraps and vehicle graphics are our specialty. Whether you are looking for a partial vehicle wrap, a full vehicle wrap or anything in between, SIGN A RAMA Orlando has you covered. Vehicle wraps and graphics are one of the most cost effective ways to advertise your business. The graphics team at SIGN A RAMA Orlando can help turn your vehicle in to a rolling billboard today. Take a look inside for some vehicle wrap ideas.